Posted at 12:57 pm on September 19, 2012 by Lori Z.
Oh, no. Will they never learn? Lying liar who lies (and Chinese propaganda fan), Obama deputy campaign manager Stephanie Cutter, kicked off the creepy cultism. All that is needed is to add #DearLeader to the #ForAll part. Actress Natalie Portman soon followed. Ah, the old ‘pre-existing condition’ nonsense. Portman is channeling Pelosi, evidently. 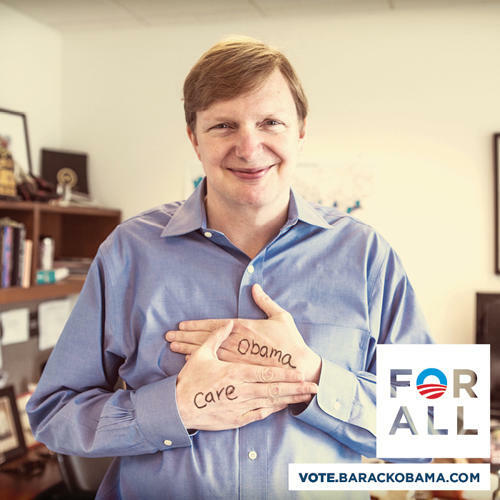 Then, in a horrifying turn of events, OFA campaign manager Jim Messina entered the creepy-photo zone. Warning: Hide yo’ children, hide yo’ wives! Bless. His. Heart. He totally hearts Obamacare. And a nice Chianti. With some fava beans. The picture moves beyond humiliating into terrifying territory. Those creepy, cold and dead eyes! Hopefully showing them his neat hand-notes RT @meredithshiner: @Messina2012 is in the Capitol today to chat with Democrats. Actor and Obama fanboy Jared Leto puts on his creep suit as well. 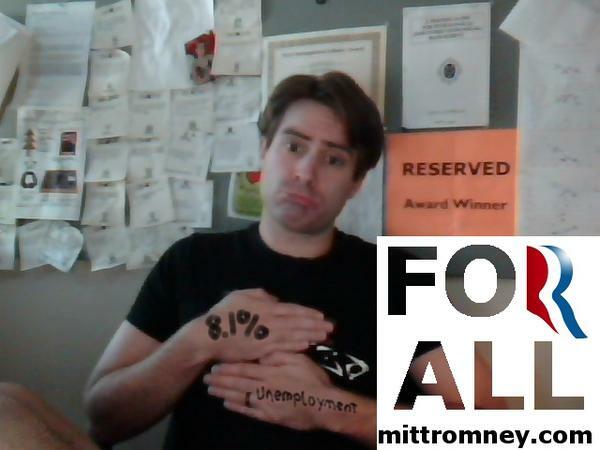 Conservatives then took over the creepy #ForAll hashtag with some truth. Obama is president #ForAll Hollywood stars, gov't workers, $800 per bottle champagne drinkers, but not the rest of us. Keep them coming, Twitter. Defeat the creepy cultism!